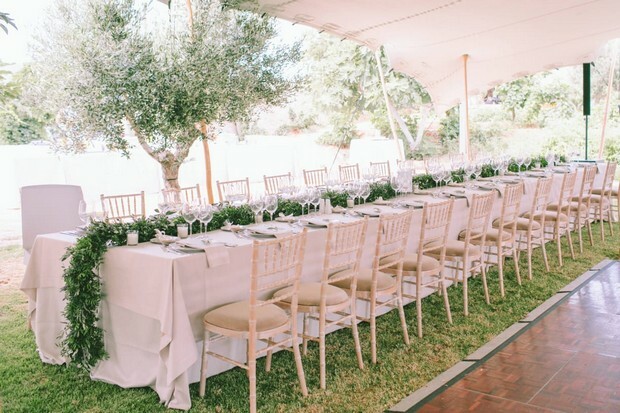 When picturing a wedding in Greece you may imagine an outdoor ceremony on a quiet cliff, overlooking the turquoise waters below as you say ‘I do’ at sunset. 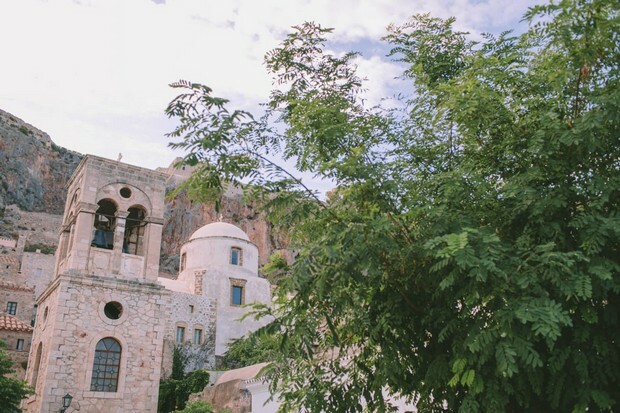 What you may not expect is a magnificent castle in a picturesque medieval town complete with unforgettable architecture and cosy cobblestone streets, on an island connected to the mainland by a strip so narrow it is inaccessible to cars! 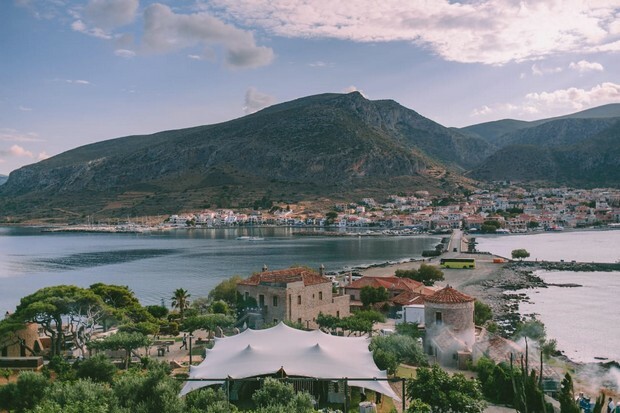 This one of a kind location is Monemvasia and it was here that our real bride Haneen chose to tie the knot to Alistair. 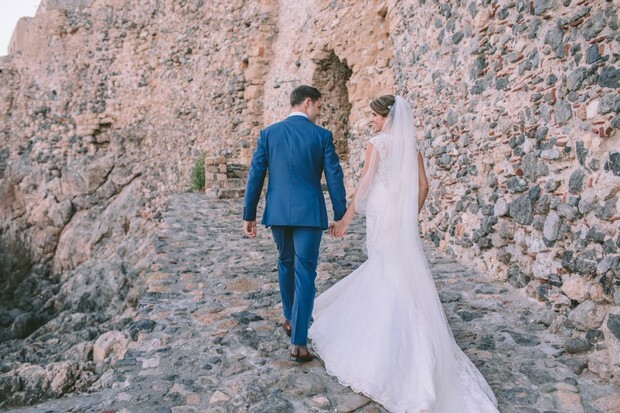 As every bride knows, a beautiful location requires a beautiful wedding dress to match. 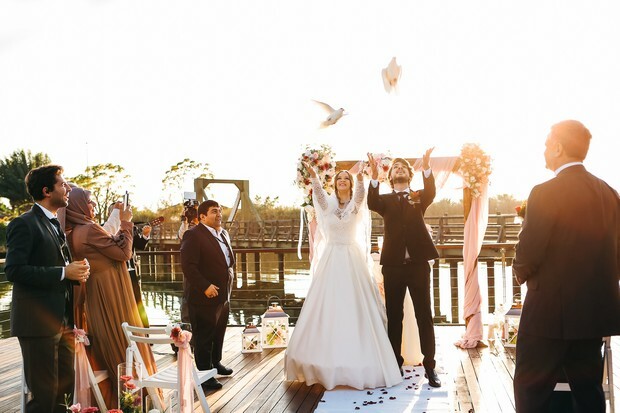 In her search for ‘the one’ Haneen visited Bridees Wedding Boutique (@brideesdubai) and fell in love with the Tilda dress by Maggie Sottero. 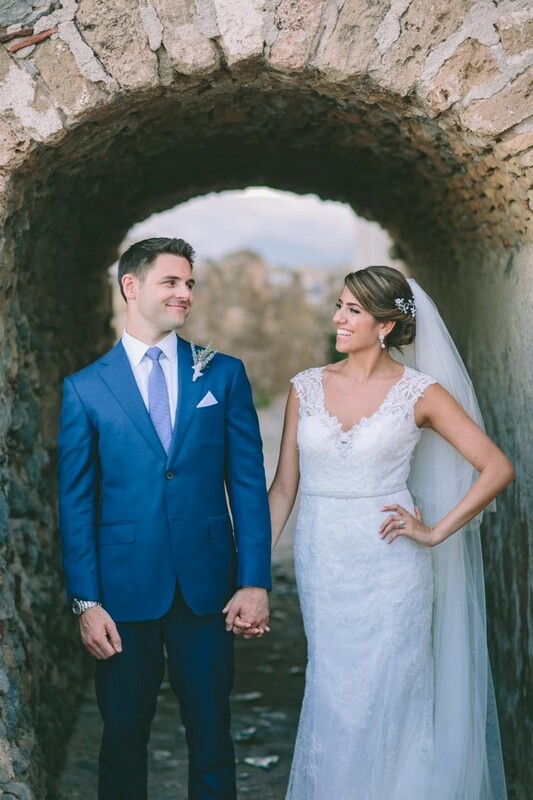 This stunning fit-and-flare style dress is perfect for her destination wedding. 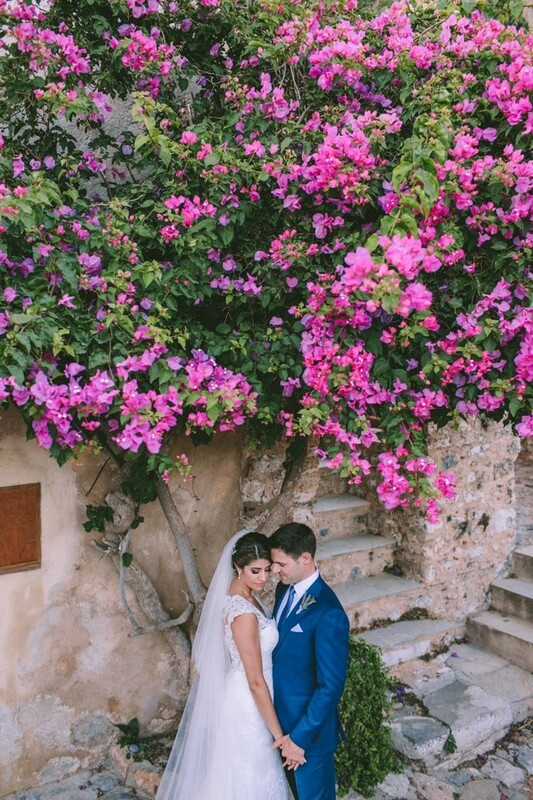 It’s a simple yet stunning dress with some beautiful detailing. We’re loving the illusion cap-sleeves and illusion V over sweetheart neckline giving it that extra bit of glamour! 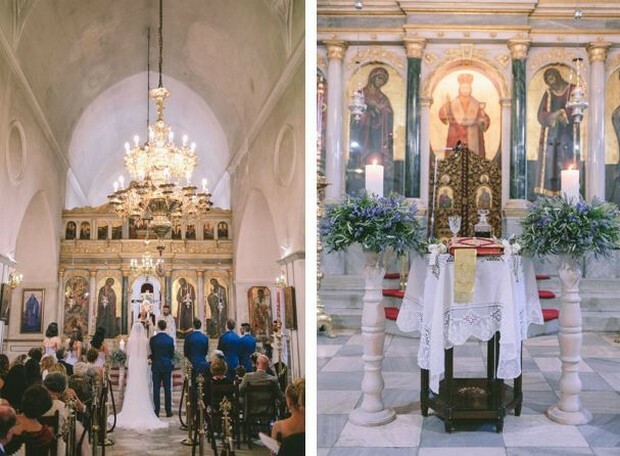 A stone’s throw away from the glistening waters that are Greece’s trademark, this loved up couple said their ‘I dos’ in a beautiful high-ceilinged cathedral. 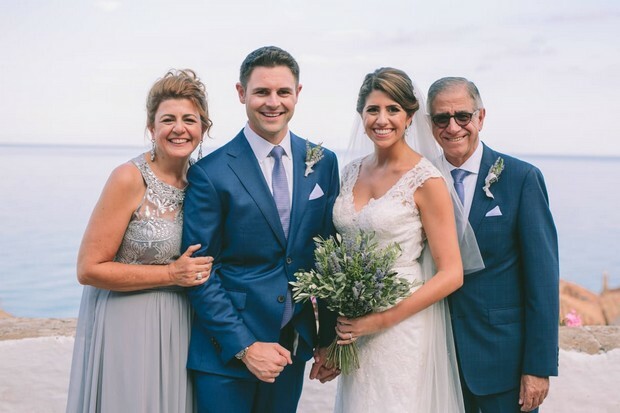 Their ceremony was followed by a nature inspired reception in the courtyard of the tranquil Lazareto Hotel. 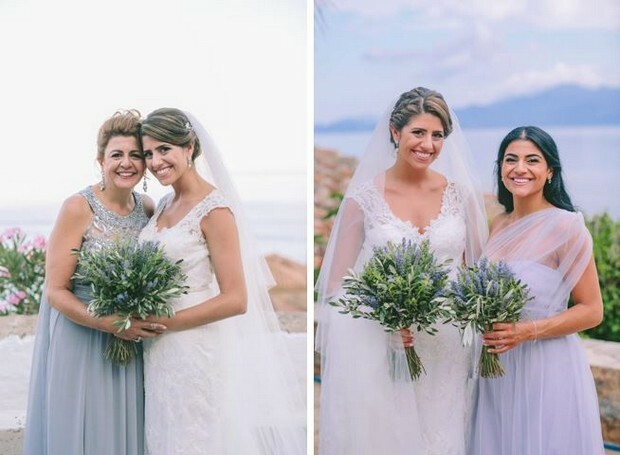 Her lavender and olive colour scheme perfectly matched the fairy-tale Greek backdrop. 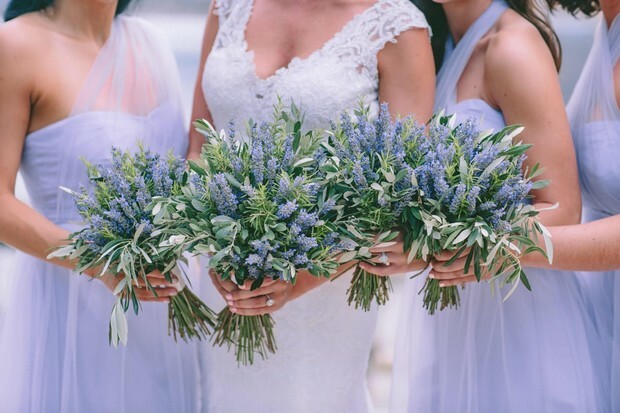 Lavender and olive branches were included in many elements of the wedding including the bridal bouquet, table decoration, altar flowers and even on the doughnut wall (yes please!) providing a unifying theme to their entire day. 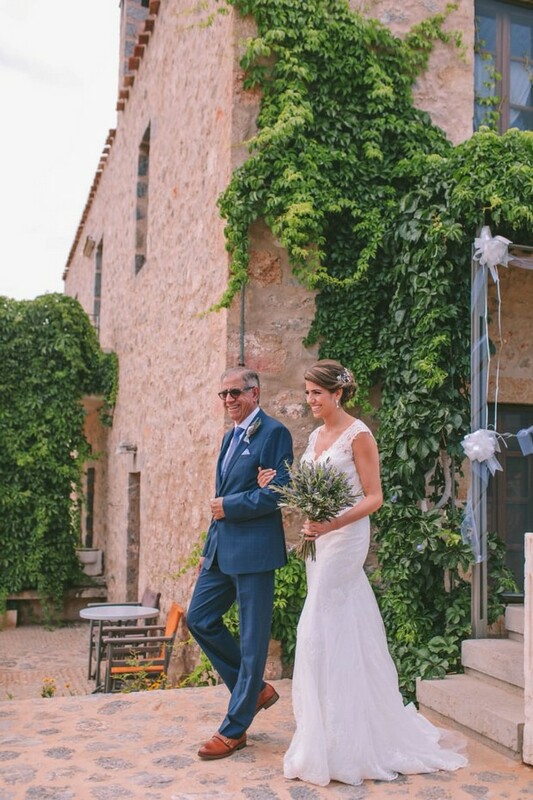 If you would like to see if Bridees Wedding Boutique has your perfect dress call 052 506 8211 or email sales@bride2be.ae.